Maintaining great skin can be tough, especially if you don’t have the cash to visit a medical professional. 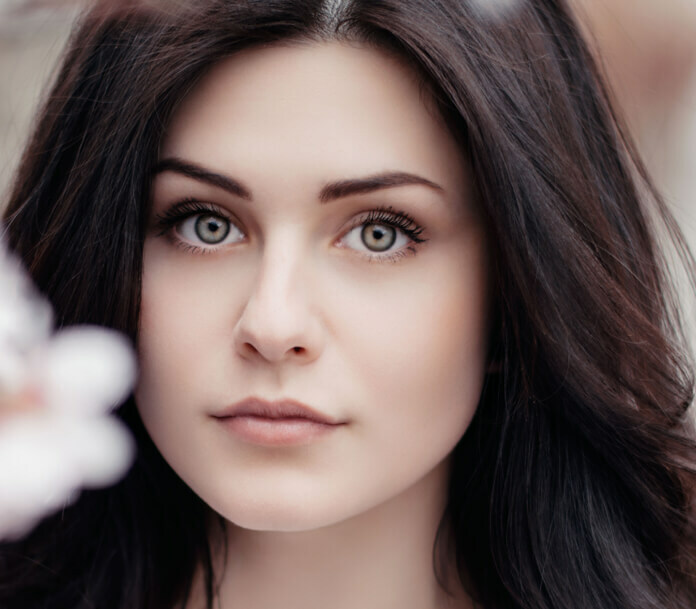 Before you get discouraged, put a few of these skin care tips to the test! To rev up your flesh in a flash, try applying a moisturizer; it is the least you can do if you want healthy skin. When the face is dry it shifts its appearance beginning to crack, flake, wrinkle, and turn lack-luster. Skin that has been dry for an extended period of time is at risk of becoming red and irritated. Using a sufficient cream will provide you with instant radiance, a smoother texture, and added plumpness. The skin experiences natural change but it is also affected by outside forces. Those who take medications consistently may notice their canvas begin to change. Remember, all drugs have side effects but of course, some are more severe than others. Lithium, corticosteroids, anticonvulsants, barbiturates, androgenic steroids, DHEA, and things that include bromides or iodides are known to cause acne. Not all medications are bad, birth control helps clear acne which is why some girls are prescribed it at a young age. This may be a cliché skin tip but it is crucial. Most people don’t realize that hydrating and moisturizing are two different things. Moisture is determined by the amount of oil in the skin while hydration is considered the amount of water it retains. Some products are water based and provide both hydration and moisture, but the real way to combat dehydrated skin is to drink enough water. Each day you should be consuming half of your body weight in ounces of this healing liquid! Drinking water can also help clear acne and wrinkles. People who suffer from legit skin concerns will more than likely try to fix them. We are our own worse critics so we see flaws that others may not notice; sometimes we even make up things that aren’t there. To truly see how your treatment is progressing take a picture every 2-4 weeks and compare them. Just like losing weight, changes in the skin can be slight making them tough to notice. Keep your journey private by creating a private album on your phone or downloading a diary app with password protection. Dermatologists say that it is never too early to begin age reversing rituals. In fact, applying these kinds of products early on can help prolong a youthful canvas. Retinoids are actually derived from vitamin A and are available both over the counter and by prescription through a medical professional. Retinoids are all the rage these days because they can help clear acne, stretchmarks, and eliminate signs of aging. The key is increasing your skin’s cell turnover rate. You make new cells every 30 or more days depending on your age, but the older you are the longer it takes. Once new skin rises to the surface, its appearance will outshine the older cells, so making new skin faster will result in a complete set of fresh cells. Retinoids also help plump the skin by increasing collagen. Did you know that the sun is one of the greatest factors for aging skin? The most effective way to protect yourself from ultraviolet rays is to wear sunscreen. Using sun protection can be tricky; it isn’t a one and done type of deal. Since your skin aids in product absorption, it is safe to say that the sunscreen you applied this morning will not be as concentrated around lunchtime. It is recommended that you apply sunscreen every 2 hours and you should be packing on two layers so you don’t miss a spot. When you’re working, it may be tough to keep track of time and just 10 minutes without protection can cause a burn. L’ Oréal recently launched a UV patch that detects how much your skin is being exposed to UV light and notifies you by changing colors; it is a simple reminder to apply your sunblock. The interest in avocado has risen since people are more health conscious. This fruit isn’t only good for the body; you can also use it to reverse certain skin concerns. Split and avocado in half, mash the flesh and spread it over your skin. Powerful antioxidants and soothing vitamin E will protect you from environmental damage that typically causes fine lines, wrinkles, and skin irritations. Vitamin C will help the you get more even, radiant, and tighter by increasing the production of collagen and elastin. The avocado’s most beneficial ingredient is fatty acid, this component helps to keep your canvas moisturized and appear plumper. Let the avocado sit for about 15 minutes and then rinse with water; follow up with your normal skincare routine. Wait! Don’t throw away the peel; flip it inside out and use it to exfoliate! If you’re sick of skin care systems failing, then maybe you should change how you use them. When you apply product, it is important to start with the most lightweight formula. The pores can only absorb so much, and if you block them first with a heavy cream nothing else will be able to penetrate. Begin with toners, then serums, then eye creams, then moisturizer, and finish with sunscreen. Making this switch will allow your skin to benefit from more ingredients than it did before. Are all sunscreens created equally? They shouldn’t be because they don’t all provide the same amount of protection. The sun emits two types of rays; UVA (responsible for aging) and UVB (responsible for sunburn) and you need to protect yourself from both. Normal sunscreens only protect you from sunburn. To avoid both types of rays look for a product that is broad-spectrum. Also, be sure to purchase at least an SPF 30 to guarantee adequate protection. If you don’t have coconut oil around the house, I feel sorry for you. This liquid lifesaver can help with a bus load of skin care woes. First, the oil is antimicrobial, antifungal, and antiviral protecting you from infections from yeast, dirt, mold, and bacteria. People who have dry skin disorders like eczema and psoriasis love how coconut oil helps to soothe an itch. 1. You make an awesome makeup remover. 2. You help moisturize hair. 3. I can use you on the face and body. 4. Shaving is so much easier with you. Be sure to purchase organic coconut oil because some products have been bleached and refined. Try looking in the area of the store that has vitamins instead of going to the food section. One of the main causes of acne is a clogged pore. Once a pore is blocked bacteria begins to grow and eventually forms a pimple. Foundations and concealers can be harmful if they are not removed, especially since many are chemical-filled. Even if you use makeup with the best ingredients it is important to remove it from your face each and every night. Failing to do so doesn’t only lead to acne, it could also give you a bacterial infection that causes the skin to become irritated. To ensure everything has been washed down the drain use a makeup remover and then a cleanser. Many cleansers also serve as makeup removers; if you have a product that is, simply wash your face twice. The first wash removes the makeup and the second cleanses the skin. To prevent acne while working out, put your hair in a high bun and clip back those bangs. The chemicals in hair products can cause pimples if they penetrate the skin. Purchase an acne concealer instead of a traditional one to cover blemishes; they have pimple fighting meds to help throughout the day. Don’t neglect your lips if you want a stellar lipstick application. It is important to scrub away dead skin, consistently moisturize, and protect your lips from the sun. Apply skin care products to your neck, knees, elbows, and hands so that your face isn’t the only thing that looks young. To make your skin look completely even when applying makeup, never forget to put a little on your ears! If you have sensitive skin, perform a patch test before applying the product to prevent a disaster. Prior to bedtime, place the product behind your ear, if that area is red, itchy, or irritated in the morning return the product.